HomeCan Porsche rule the waves too? Fearless 28 coming at you! 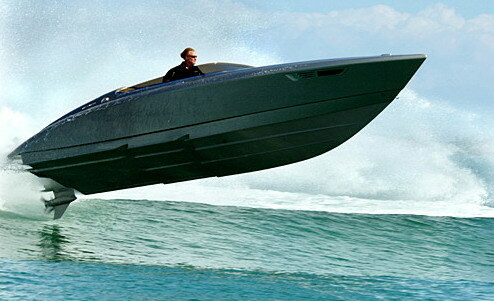 Can Porsche rule the waves too? Fearless 28 coming at you! We all know the luxury end of the sports boat market seems to have the wealth of country bank accounts and I’m sure this is one of the main encouraging factors in this next review. 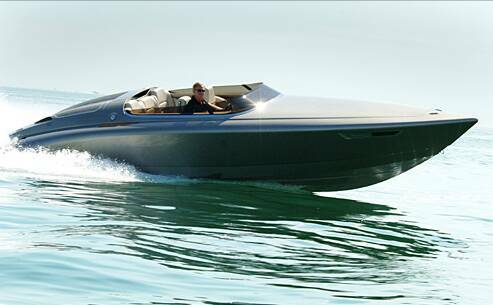 The Fearless 28 powerboat styled by Porsche design is an adventure at its beginning fuelled by the luxury end of the sports boat market which seemingly has the wealth of a country bank account and I’m sure this is one of the main encouraging factors in Porsche design’s entry into the world of power at sea. 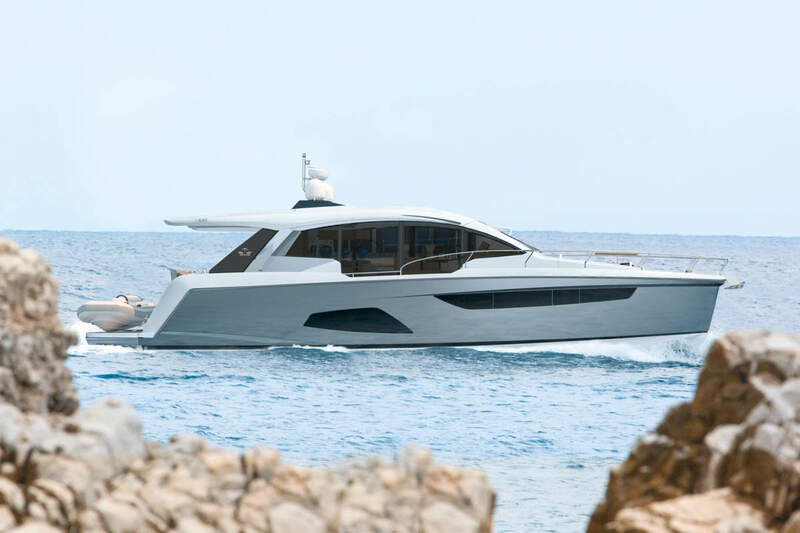 This high powered luxury five seater rewrites the pages for design, focus and pedigree of the modern contemporary sports boat providing the driver with a focused environment for high speed boating and the passengers with a sense of belonging. 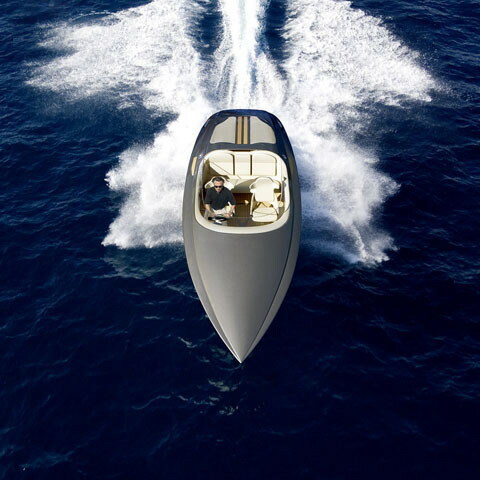 The Fearless 28 revolves around a seamless carbon-fibre reinforced fibre glass deep-V hull finished in stunning silver married to the upper teak deck based on the legendary Porsche sports cars with particular focus of their trade mark 911 and Carrera GT models. 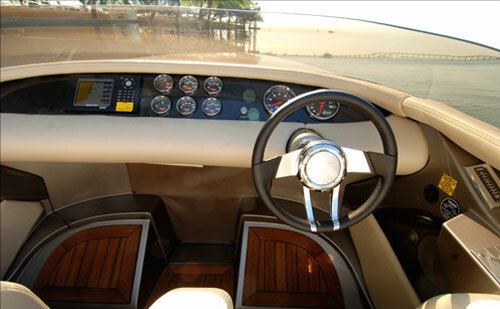 In the beautifully layout cockpit the helm is equipped with an XM satellite radio, AM/FM radio, CD, DVD player and an i-Pod docking station all wrapped in warm beige and a set of up market display dials. 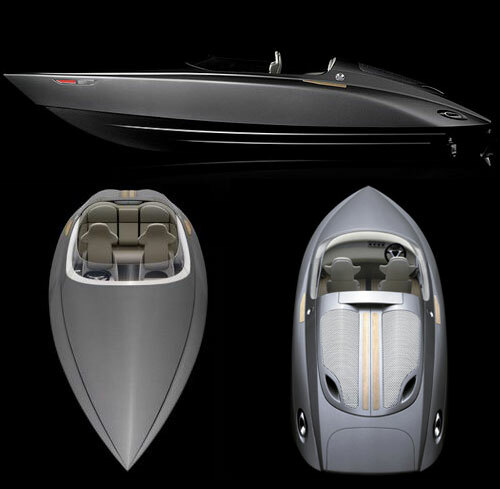 The Fearless 28 is capable of hitting speeds in excess of 80mph, this is achieved by a 550 horsepower V10 taken from the Dodge Viper and equipped for marine use but equally it can cruise along happily at 40mph giving a range of approximately 160 nautical miles. This is the start of a great adventure for Porsche design with the future set to bring us a range of Fearless models, the 44, 68, 125 and 150 feet versions.